Are you packing your bag to Laos? Curious about what to bring and what to expect? Don’t worry. We at Hanoi Voyages feel the responsibility to help you be well-prepared for Laos. We have compiled the most concrete, updated Laos Travel Guide for you. Motorcar taxis are available and are the most common way to get around. The most prevalent vehicles and cheapest are three-wheeled tuk-tuks. For longer distances: local buses or shared cares. There are over 4,500kms of waterways in Laos, so traveling by ferry is possible. What are the usual prices, when is Laos holiday, ...? Many hotels, restaurants and gift shops display fixed prices. Otherwise, in some gift shops and markets, it is best, as in all of Asia, to ask prices at several shops or stalls before purchasing so you can get a “ball-park” price on the items of interest before buying. In the main centers, many hotels, restaurants and upmarket gift shops accept Visa and Mastercard credit cards. 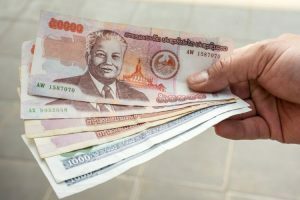 ATM’s are now available in Laos for cash withdrawals, mostly in the big cities like Vientiane, Luang Prabang, Vang Vieng, and Pakse. 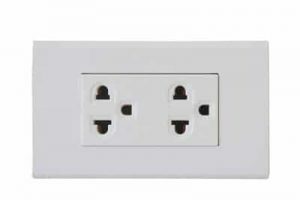 Laos uses power through 220v circuitry, and almost always are delivered through a two-pronged flat or round socket. It is best to purchase one before you leave home. In the smaller towns and villages, local power stations may only deliver power for three or four hours a night. Unfortunately, some of the more remote communities have no power at all, so a torch is an essential item when traveling away from the main centers. Still think that Laos travel guide is not enough? Still worried? Contact us for the best travel experience!